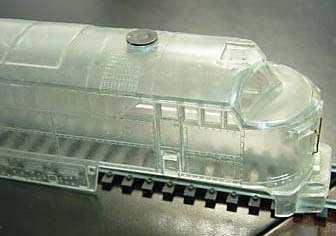 This was the original scheme produced for AHM's New York Central C-Liner. 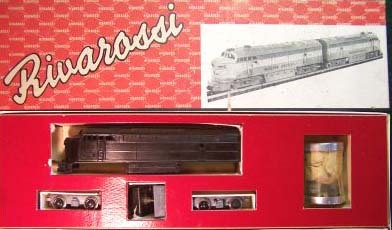 Rivarossi first produces the C-Liner in HO scale. 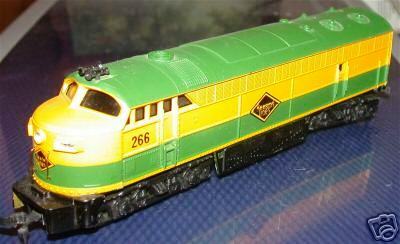 This was the same one, originally part of Lionel's HO-scale product line beginning in 1957. On rare occasion, I've seen a black undecorated Rivarossi boxed example of the C-Liner. This Rivarossi example was stated as being made of bakelight. 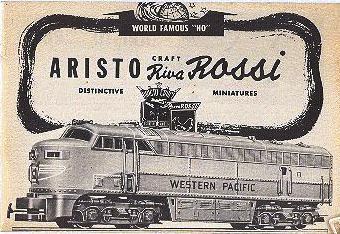 The earliest reference I've found on the Rivarossi C-Liner is a 1954 advertisement listing the model as new. An early 1960s AHM magazine ad for the C-Liner model states it was produced by Mehanotehika under license from Rivarossi. To my knowledge, all AHM examples may be Yugoslavian made by Mehanotehnika. IHC offered this same Yugoslavian C-Liner. Later runs of the C-Liner often have 'Tempo-Yugoslovia' stamped on the bottom of the fuel tank. If one looked up "Crude" in the HO-scale Hobby Dictionary, you might just find this unit pictured. The model lacks all steps from the cab to the rear of the unit on both sides. It also sports a strange non-prototypical hood hanging over its carved out front pilot. 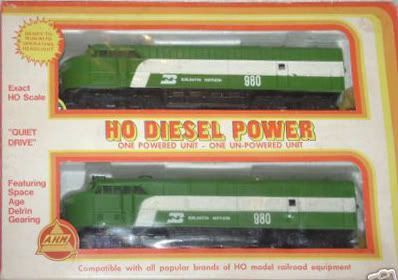 Available since the late '50s though the 1990s, this model might also be labeled a "classic" in HO-scale. The AHM C-Liners arrived in the spring of 1963. 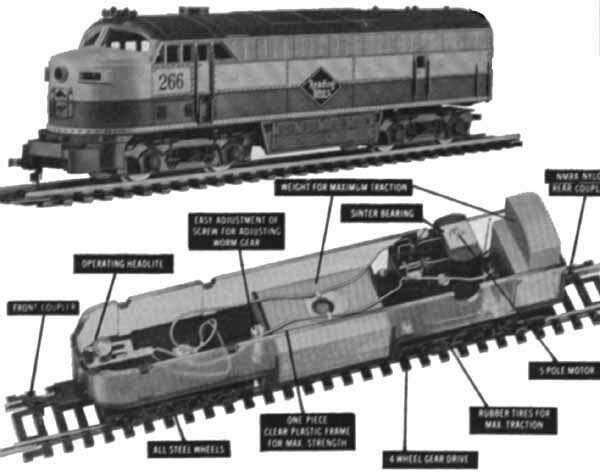 You may find a review of the model in the April 1963 Model Railroder magazine. The unit arrives first only in Reading Lines paint, followed that summer of 1963 in New Haven and Pennsylvania offerings. 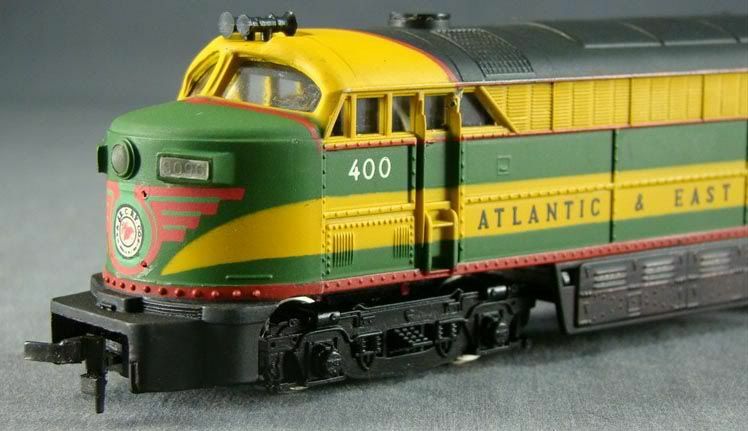 The original group was numbered 5025-5036 and included: Reading, New Haven, Pennsylvania, Santa Fe, B&O, Northern Pacific, Milwaukee, Atlantic & East Carolina, IC, UP, Canadian National, and NYC. Non-Powered A-Units were also produced, though they featured the same number found on the Powered A-Unit. And a B-Unit is also available for this model. In the 1967-68 AHM Catalog, the Powered A-Unit is priced at $8.95 and the Non-Powered Units are $3.98. 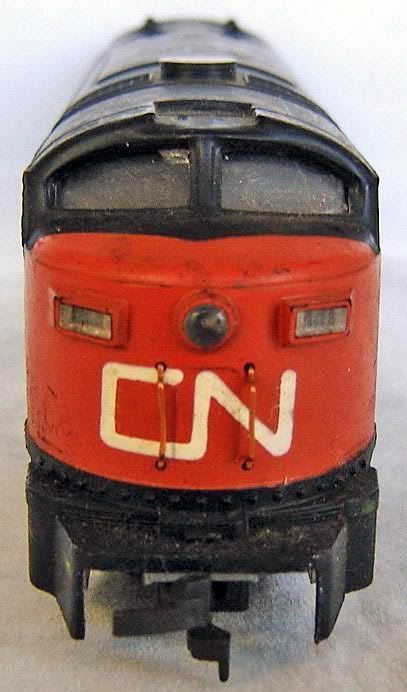 The last appearance by the C-Liner from AHM is found in the 1982 catalog. 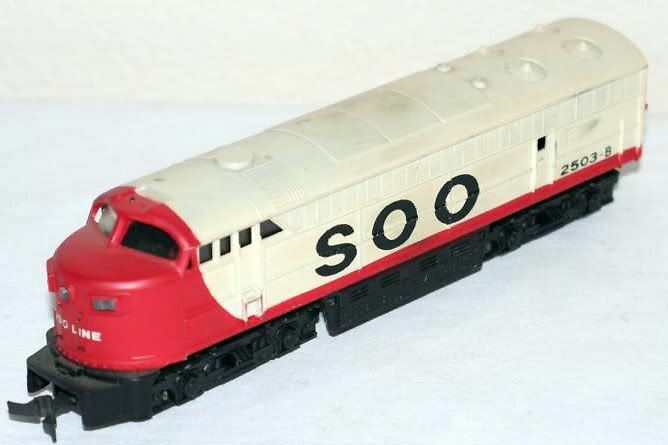 AHM also imported an O-Scale FM C-Liner A-Unit. 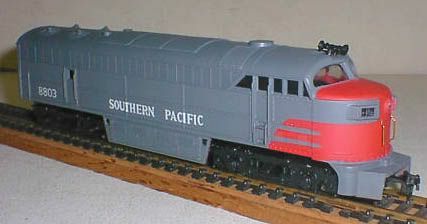 The O-Scale example was of more prototypical design and featured a better formed front pilot. 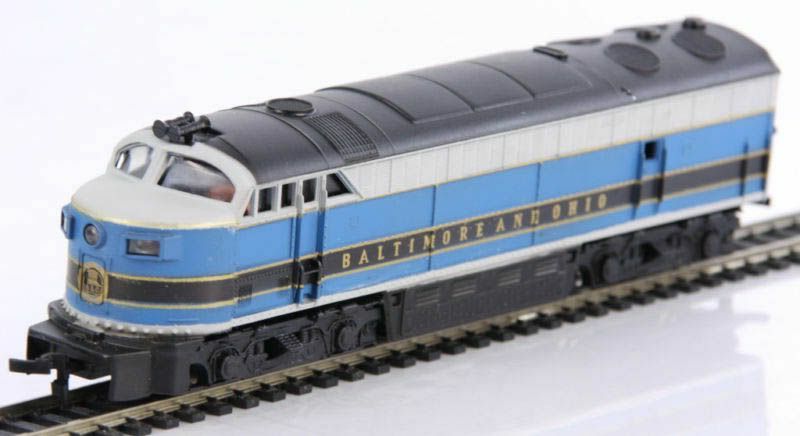 The O-Scale AHM C-Liner was never given a B-Unit mate and was available in the 1970s. 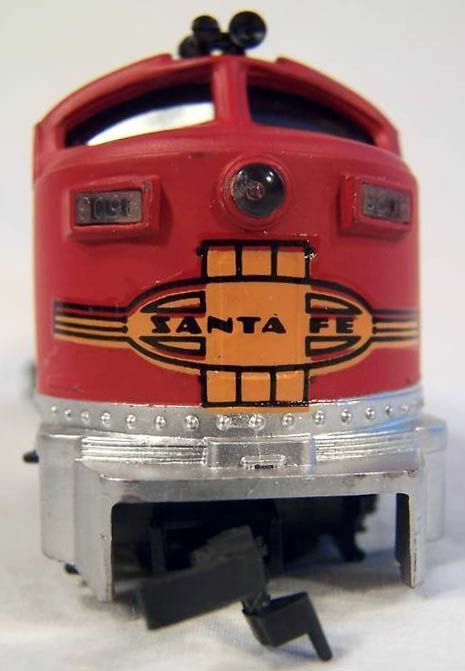 AHM offered the O-Scale C-Liner in only two roadnames: Pennsylvania and Santa Fe. The Fairbanks Morse C-Liner was introduced in 1950. The C stood for Consolidated. Horsepower variations to the C-Liner model were available to railroad buyers ranging from 1,600 to 2,400 hp. The opposed piston engine was a rare design in diesel locomotives. The C-Liner could be equipped for operate in either freight or passenger service. 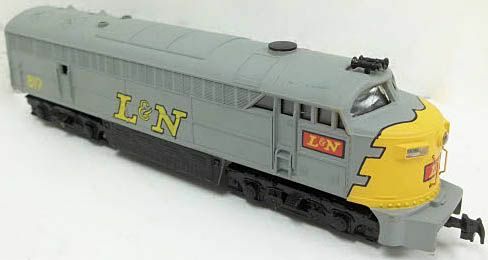 Though AHM managed to decorate its 1/87th C-Liner example in a wide variety of railroads, actual buyers were few and included: Canadian National, Canadian Pacific, Long Island Railroad, Milwaukee Road, New Haven, New York Central, and Pennsylvania. Notice the above pilot on the Texas & Pacific C-Liner, this does not reflect any known AHM production run examples. 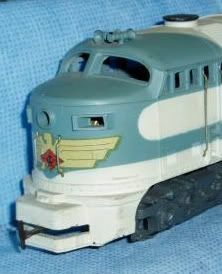 This slit-pilot belongs to Rivarossi and/or 1960s Lionel-HO models.